When the foul taste of the 'fancy' had begun to ebb away, Yaxley Farcett realised that he had better start asking some serious questions. After all, he had four suspects in the kitchen with him. 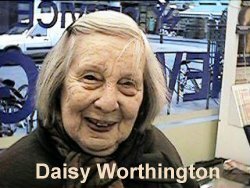 Just as he was about to assert himself, Daisy Worthington beat him to the punch, as she seemed to have a habit of doing. 'So, Detective Farcett. I suppose you've come down here to find out what we were all doing when young Dixon got iced this morning ?' she said with a mocking tone. She had watched enough 'Starsky and Hutch' in the seventies to be familiar with what she thought were still current terms. 'Well, Yes. I was actually' replied Yaxley, already annoyed that the old woman had taken the wind out of his sails yet again. 'I wonder if you could all account for your movements this morning at eight o'clock ?' Daisy elected herself to answer first; 'I was in here getting the breakfast ready.They all come in at half past for a proper cooked breakfast, don't you boys ? I was standing at the window rinsing out some pans when the land blew up. Next thing I knew, Clunch was rushing in here to use the telephone. That were the first I knew about it'. Yaxley had expected little else. He turned to Brian, his new friend and partner. 'Brian. What were you doing ?' he asked in as unaccussing a way as possible, already aware of Brian's sensitive nature. Brian pursed his lips like a contestant on Mastermind who hasn't got a clue but waits a respectable length of time before saying 'pass'. They're the ones who slap their legs and shout 'Ooooh, of COURSE !' a little too loudly when given the correct answer. Eventually Brian said "Hmm. Eight o'clock. In your room, Yaxley. Watching 'The Big Breakfast'. Farcett stared at him. Bearing in mind their earlier TV watching conversation, he found it hard to credit that Brian was actually gatecrashing his room at breakfast time to watch his set. 'Blimey, Brian. What time did you get up ?' Brain looked rather shamefaced. 'I'll come clean, Yaxley.Since your room has been empty I've been living in there all the time. I woke up at half past seven and put the telly straight on. The only reason I was out of the room when you arrived was because I'd gone back to my room down the hall to fetch the Radio Times'. Yaxley made a mental note to go out and buy Brian a cheap second hand TV at the earliest opportunity. He then turned his attention onto Daisy Worthington's son and Grandson. 'And you two ? '....John spoke for them both.' We were both over in Ealham at eight o'clock. We went over to Pratt's the Ironmongers for some supplies. Thought we'd do that and get back in time for Mother's fry up. When we got back here all hell had broken loose'. Yaxley was making a note of the times when a thought occurred to him. Turning back to John Worthington, he said 'And your wife ? Is she around ? I need to eliminate her from my inquiries' Yaxley couldn't be sure, but he thought he heard Daisy Worthington suppress a laugh by hastily disguising it as a cough after hearing him use such a cliché. 'You can speak to her if you like. She's probably got her head stuck in a book. She's doing some research for some daft village evening she's organised in a couple of weeks time. Just go upstairs and bang on the door'. The prologue - Episode One - Episode 2 - Episode 3 - Episode 4 - Episode 5 - Episode 6 - Episode 7 - Episode 8 - Episode 9 - Episode 10 - Episode 11- Episode 12 - Episode 13 - Episode 14 - Episode 15 - Episode 16 - Episode 17 - Episode 18 - Episode 20 - Cast List - 'Did you see the wrist watch in Ben Hur' ?- The Colly Continuity Page.